In 2012, Rhiannon began sharing her story of resilience and empowerment to educate and motivate primary and secondary school students across Victoria. Since falling in love with engaging a crowd she has since expanded her audience to corporate organisations and has been invited to guest speak at specific events and functions. 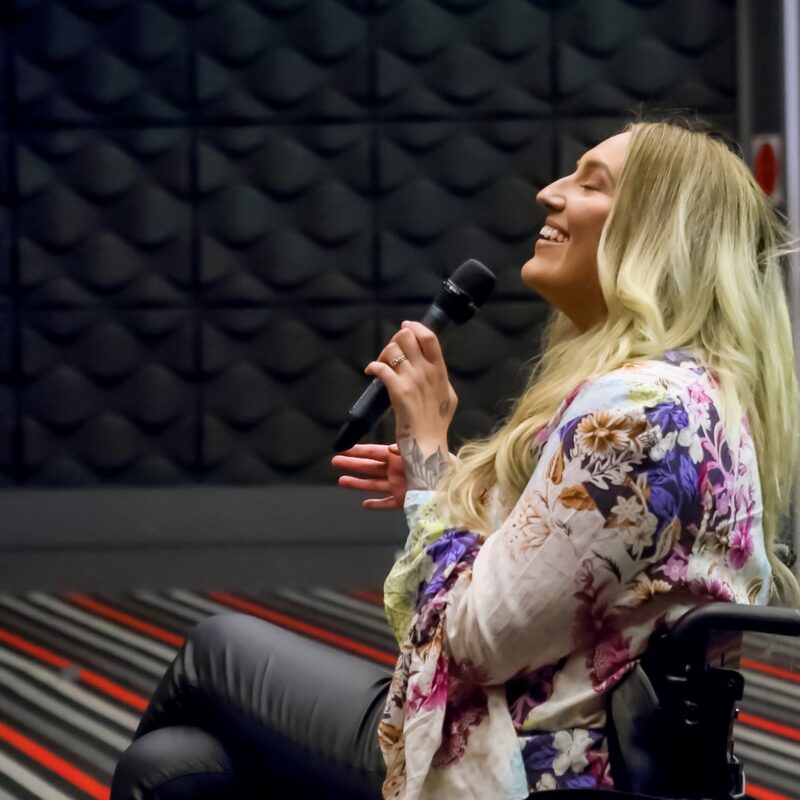 During her presentations Rhiannon shares her journey of triumph while battling the complications of her spinal cord injury as well as how she continues to overcome adversity as a women who is continuously breaking down the barriers of living with a disability in a diverse world. A true believer in the power of positivity, Rhiannon discusses the importance of creating a purpose in your life and shares her own personal views on creating and setting goals, but most importantly gives her audiences an insight into how makes sure her goals are achieved.